BURBANK, CA. 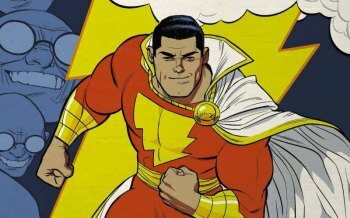 – Production is underway on New Line Cinema’s “Shazam!” David F. Sandberg (“Annabelle: Creation”) directs the origin story, which stars Zachary Levi (TV’s “Chuck”) as the titular DC Super Hero, along with Asher Angel (TV’s “Andi Mack”) as Billy Batson, and Mark Strong (the “Kingsman” movies) in the role of Super-Villain Dr. Thaddeus Sivana. Peter Safran (upcoming “Aquaman,” “The Conjuring” and “Annabelle” films) serves as the film’s producer.